1. How did it get there? 2. Where can I get one? The woman was suffering from weight loss and diarrhoea. 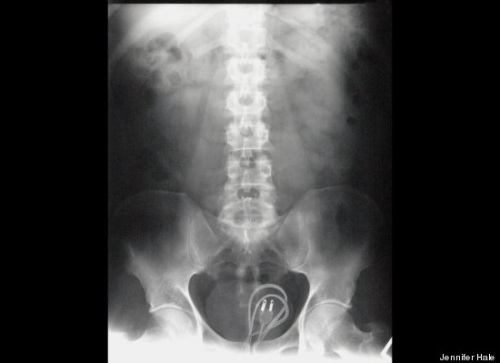 An internal probe revealed severe diverticulosis and a pen she has swallowed. 1. She was investigating her tonsils when she slipped and the pen fell in. 2. The pen was a ruddy felt tip! Felt tips run out in seconds. The British Medical Journal is lax in its duty to mankind that it fails to identify the make and model of this magic marker.